In what can only be described as a serious failure to understand the nature of social media, EL James, author of the 50 Shades series, held a twitter Q & A to discuss her new book on the series. It's written from the point of view of the abusive man and is simply a checklist of excuses for male violence. 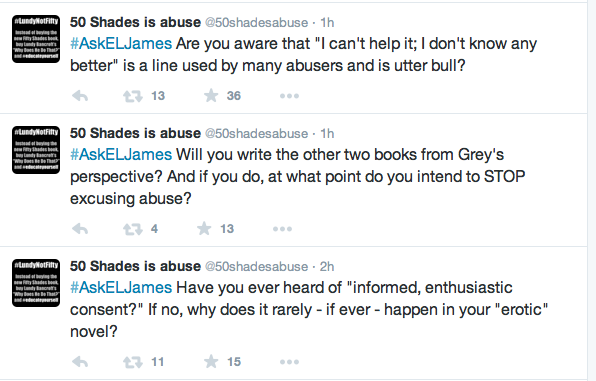 We have storified a number of other important responses to #AskELJames here.